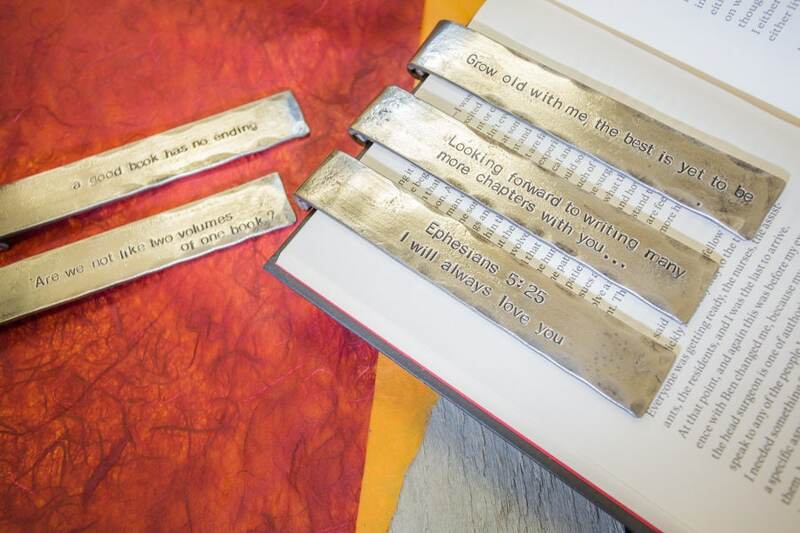 These elegant, personalised Iron Bookmarks are designed and hand made by me at my Blacksmiths workshop in Cheshire, England. 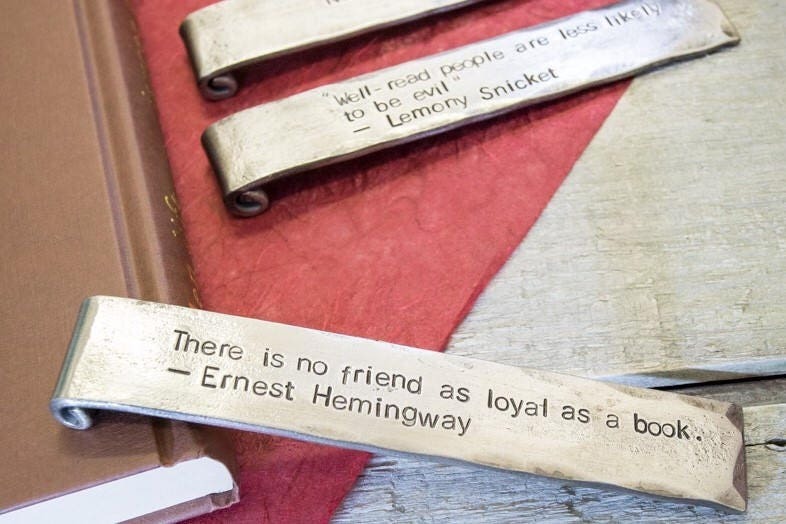 Each Bookmark is hand forged at the anvil which means that no two are ever exactly alike-the subtle differences that set hand made work apart from mass produced items! 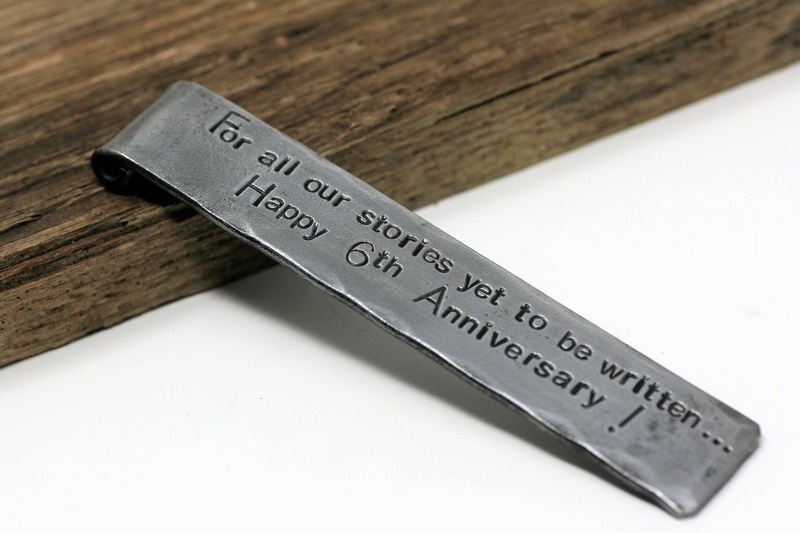 Celebrate your Sixth Wedding Anniversary in style! 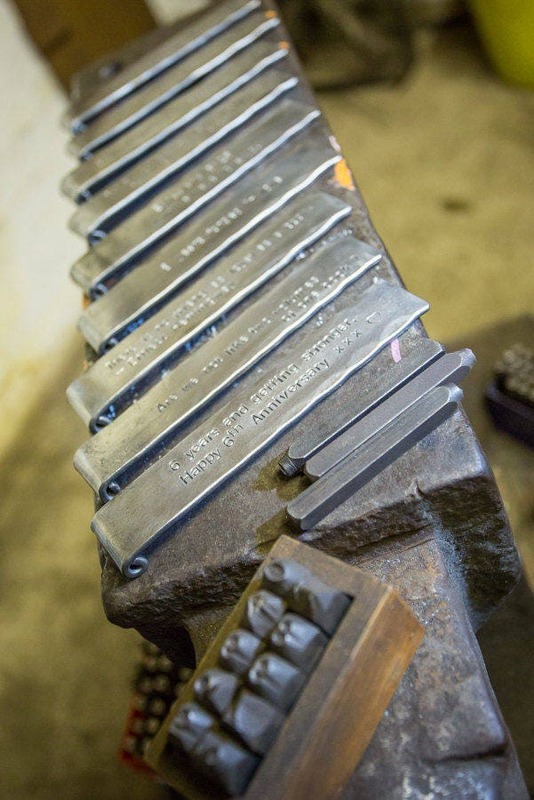 All personalisation is done using individual vintage letter punches. 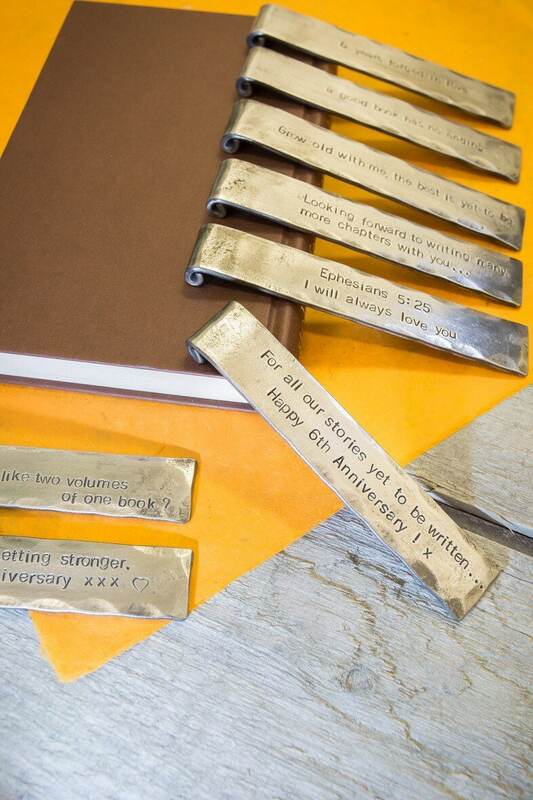 The perfect 6th Iron Anniversary Gift for your book loving Wife or Husband. * Compose your message & count the number of letters/numbers/punctuation marks (you don't have to count spaces). * At checkout select the correct pricing option from the dropdown box-for example if your message is 55 characters long, select the 41-60 character option. *Send us your message using the 'Personalisation' tab before checkout. Alternatively, just contact us using the 'Ask a Question' tab. Please specify where you want the text stamping- front, back or both and if you have any preferences regarding the layout otherwise I will use my best artistic judgment. * Once I receive your order I will send you a confirmation Email. 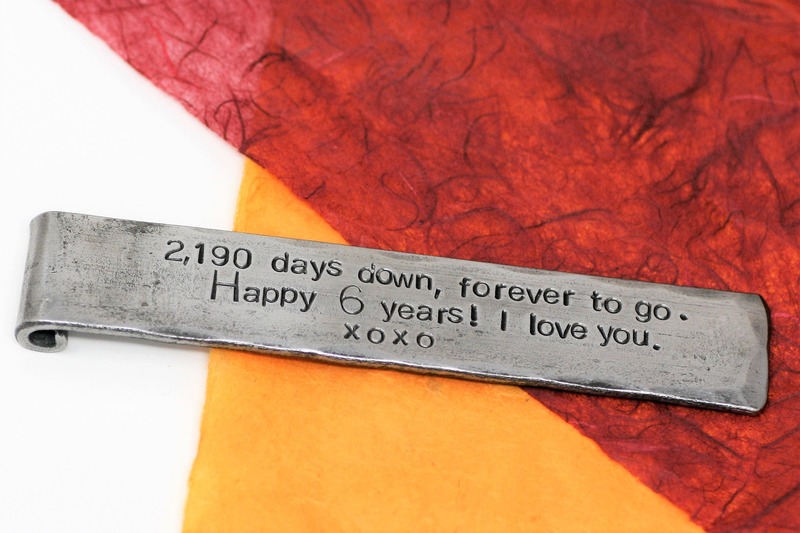 Your bookmark will then be made within 3 working days! 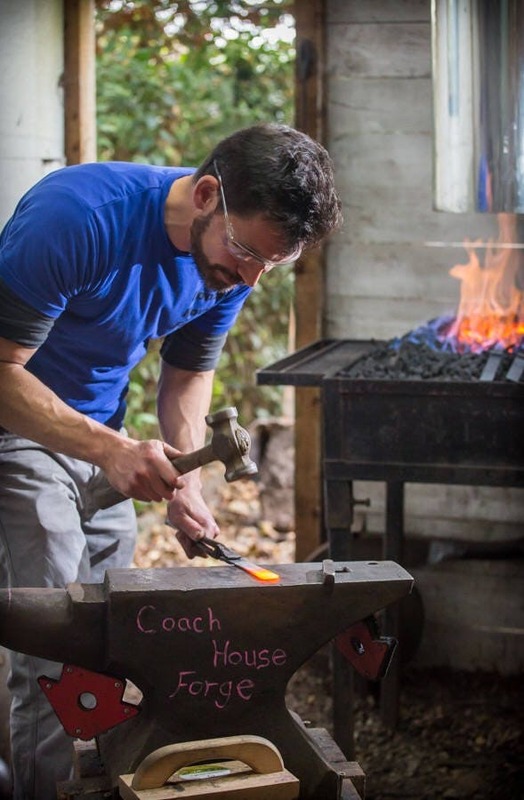 * Forged from iron bar. * 6'' long x 1'' wide (150mm x 25mm). Weight 90g. 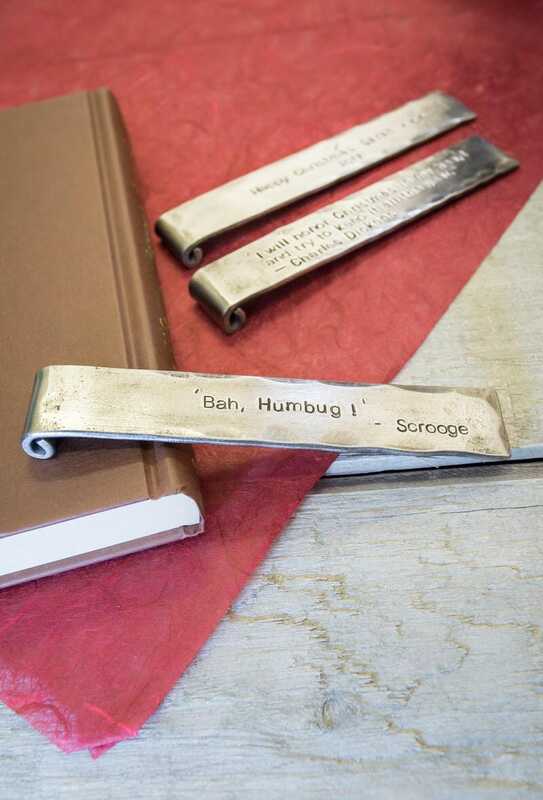 * Personalised with up to 100 individually hand stamped characters. 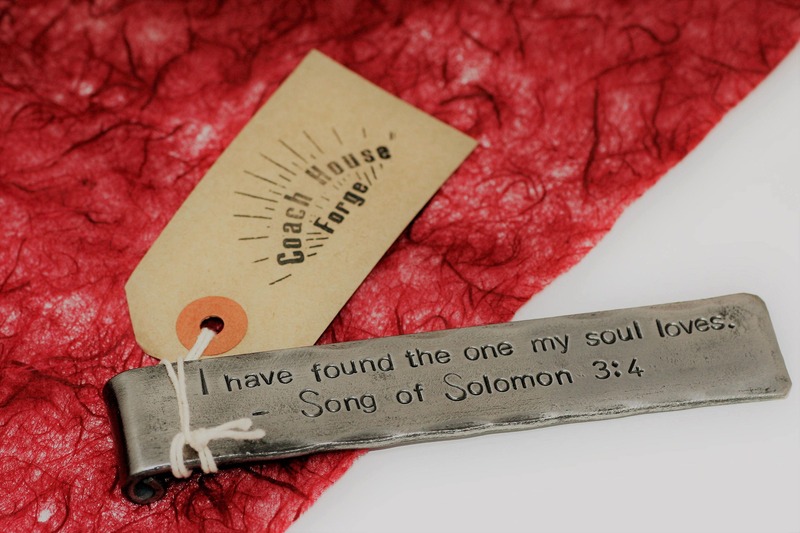 * Can be stamped on the front, back or both. * Finished to a polished shine. * Sealed with Renaissance wax. * Shipped worldwide within 5 days of order. * Standard, tracked or express shipping options available. * If you require more than 80 characters please request a custom order and I'll get right back to you! 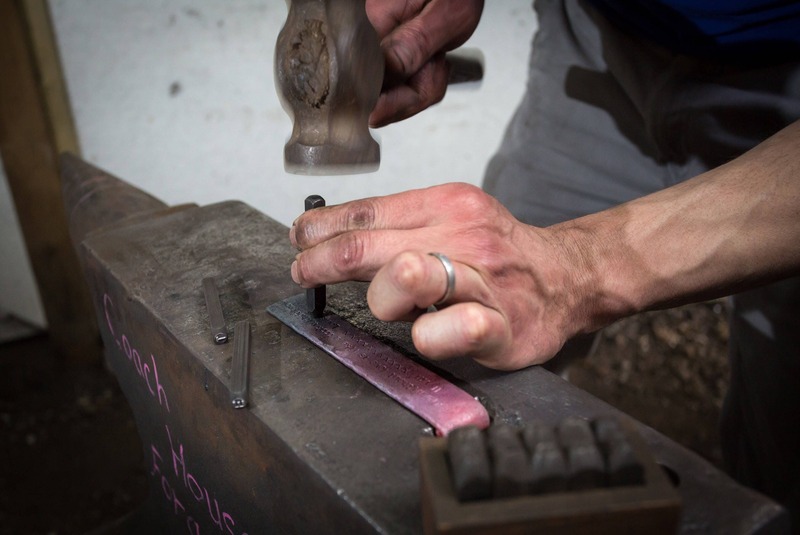 * Check out the FAQ's for more details on the hand stamping process, packaging and aftercare. For non UK customers the default shipping option is Royal Mail International Standard. This is the lowest cost option available and does not include Tracking. * After adding an item to your cart, click the Cart link at the top right of any page. * You'll see a dropdown menu that says Standard Shipping to the right of your item. * Use the menu to select either the Tracked or Express upgrade. And finally, don't worry if you've left this late, contact me and I'll do my best to turn it around super quick! Thanks for looking ! Please get in touch if you have any questions. Shipped fast! Great communication with seller. Amazing quality and very professional service.. my husband loved his gift! Much heavier than expected but it’s iron so that makes sense! The stamping is beautiful, thank you! !